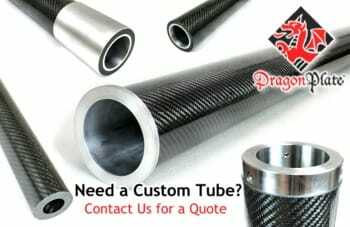 Roll wrapped prepreg carbon fiber tubes are constructed using multiple wraps of twill and/or unidirectional fabrics. Rolled tubes are ideal for applications that require the highest bending stiffness and lowest weight, such as automation robotics, telescoping poles, idler rollers, and UAV components. The standard finish is cello-wrapped gloss, but a smooth sanded finish is also available.